In the late 1960s, the 3-wheeler Sperry-Rand Tricart became a forerunner of present-day ATVs. Since then these multi-purpose vehicles have been synonymous with fun-filled adventure and other outdoor activities. One can drive them on the wide open trails, up and downhill, and along the coasts. If you think a new ATV is out of your league, don’t lose hope yet. There are many salvage ATVs for sale that you can consider if buying a new one is not an option. If cost is a constraint in your desire to own an ATV for racing or other recreational uses, then online auto auction sites are what you need. The first good thing about these auctions is that they take pride in their endless list of salvage vehicles including ATVs. At any time, buyers will find a huge selection of used, wrecked, or salvaged ATVs for sale that include top brands such as Yamaha, Honda, and Kawasaki. Vehicles in all categories are updated on a daily or weekly basis. So, prospective bidders can look forward to many new vehicles on a regular basis. Most of the salvage ATVs in auctions have sustained damage either from collision or flood. Still you’ll find many of them with minor damages only that are easily repairable at a low cost. Thus, these ATVs are far better than buying a new one since they are affordable, and repairing them will cost buyers much less. While some buy salvage ATVs for fun rides around, others do so as a source of parts for another similar vehicle. 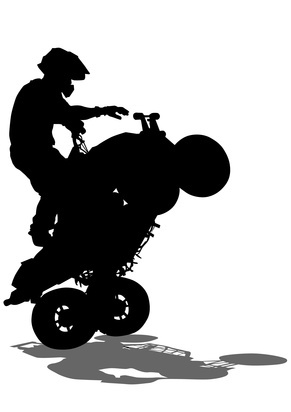 Either way, online ATV auctions offer a favorable route to buyers. Another reason to buy a salvage ATV from online auto auctions is that the process is super easy. All you have to do to get the process going is to register with the auction site. Once you are through with it, you can start placing bids on your favorite ATVs. Many of the leading auto auction sites nowadays feature many specialized tools to simplify how bidders search vehicles and get matching results. You can find ATVs based on price range, make, model, and features. Once a bidder wins a bid, the auction house in most cases arranges for shipment of the vehicle domestically or internationally. Whether you are a common man looking for a used ATV, or a licensed vehicle dealer attending ATV dealer auctions, things remain the same. A salvage ATV is more economical to purchase for personal use or resell. AutoBidMaster is a leading online auto auction site in North America and a registered Copart broker. A huge vehicle inventory and superior customer service are our core strength. We give our registered members and licensed dealers access to tens of thousands of vehicles everyday. You can also register with us now for an account FREE, and get access to a wealth of vehicles on sale. If you got any questions, call our customer service @ +1(503)298-4300 or simply write to us and let us know how we can help you.